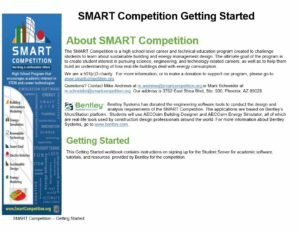 For your convenience we are providing the SMART Competition Getting Started Guide. Please download and review this PDF. 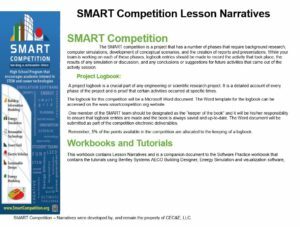 The Lesson Narratives handbook is available in PDF format. It can be downloaded by clicking on the icon to the right or each section can be accessed online. An overview of each chapter is listed below with a link to that chapter. Each chapter can also be accessed from the main menu, under the Compete option.